In July, I found myself shopping in my own makeup drawers and using the products that never got any love. I have a bad habit of sticking to the same routine daily so that about 90% of my makeup collection goes unused -I know, horrible! So, I tried my best to stay out of my comfort zone and use new or older products that were nearly forgotten. 1. Eyeko Graffiti Eyeliner Pens- I've been using these non-stop since I got them. I love every single color and I'm proud of myself for not sticking with the usual black or brown liquid liner daily. They lost very long and are super easy to apply taking the fuss out my my morning routine. 2. Revlon Polish in Peach Petal- A nail polish usually wouldn't be part of my "favorites lists" as I'm not big on doing my nails. However, I've been loving this shade since I bought it on clearance for $1.25. I absolutely adore this shade on my toes -it's very natural and goes with everything (LOL I didn't want to put you through the horror of seeing a picture of my feet.) Also, I've found that while 2 coats is good enough, 3 coats is better. 3. 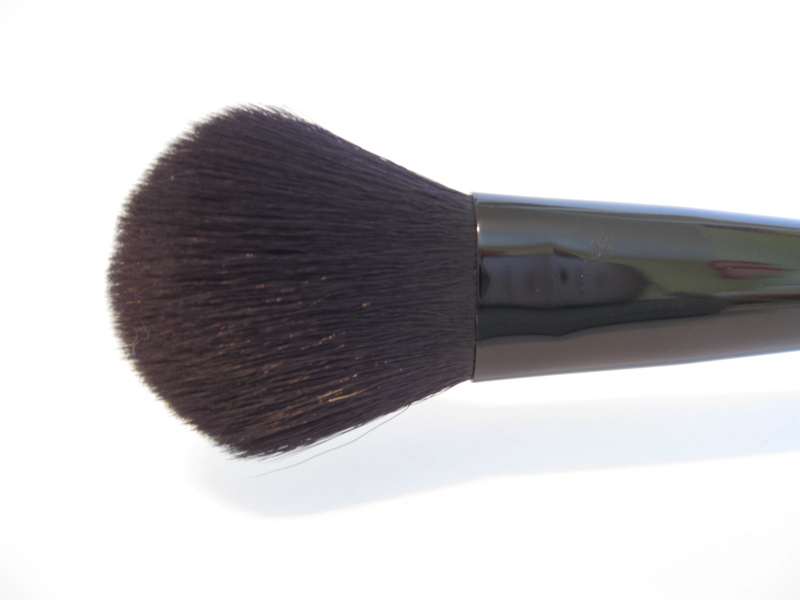 ELF Studio Blush Brush- I really like this brush for contouring and have been using it daily since I bought it about 3 weeks ago. It's actually a lot better for contouring than the Sephora Brand flat blush brush I bought. 4. 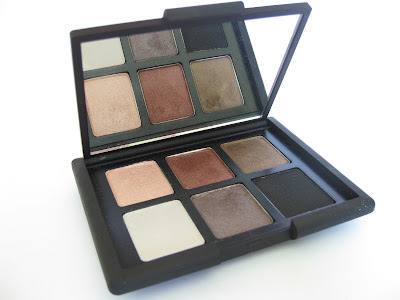 NARS Modern Love Eyeshadow Palette- I bought this months ago during some major NARS hauling but never got around to reviewing it. Since then, I've pretty much neglected it as I had other palettes to use but was seriously missing out. I love the palette. 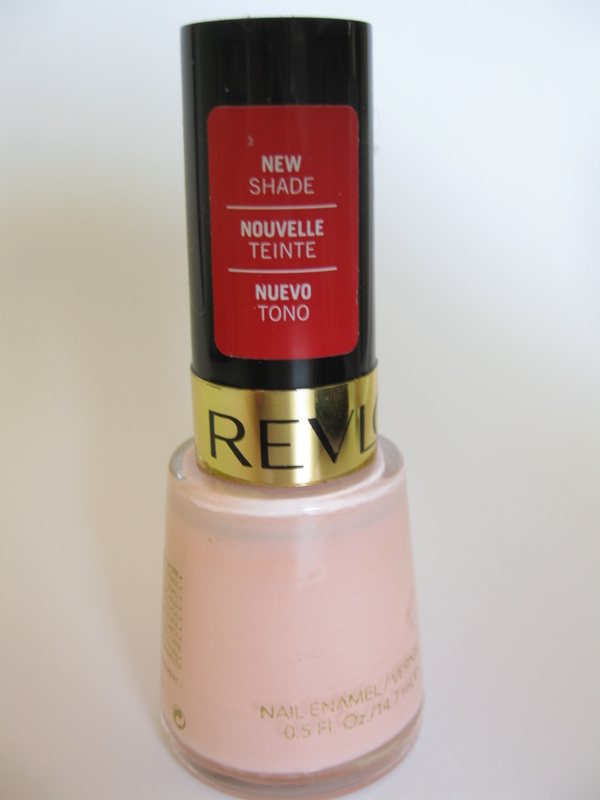 This contains some great neutral shades (light and dark), which I of course love. The only downside is that I don't see the shades fitting together "perfectly" and I often use shades from other palettes and singles with these. 5. 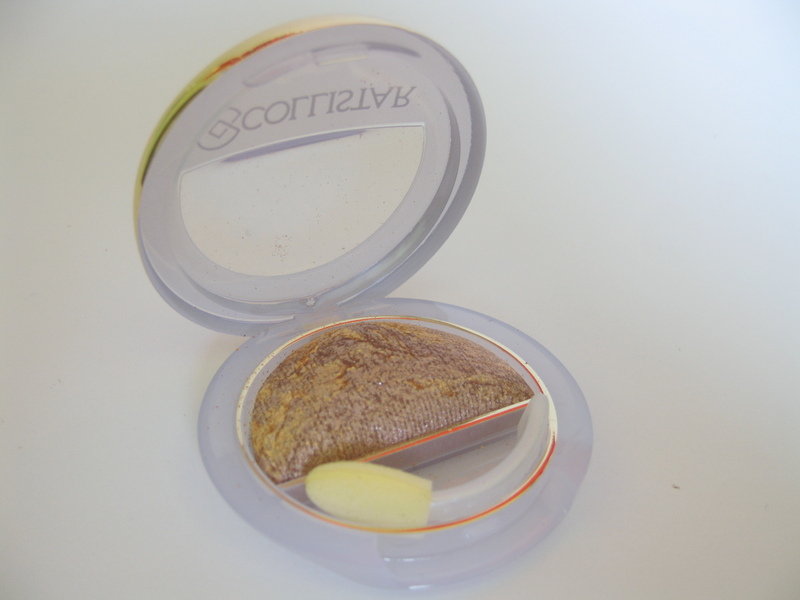 Collistar Double Effect Eyeshadow Wet&Dry Single in 4 Beige Rosato- I bought this along with another Collistar single at a Sephora in Italy a few months back (kept forgetting to review them) and had never gotten around to using them. 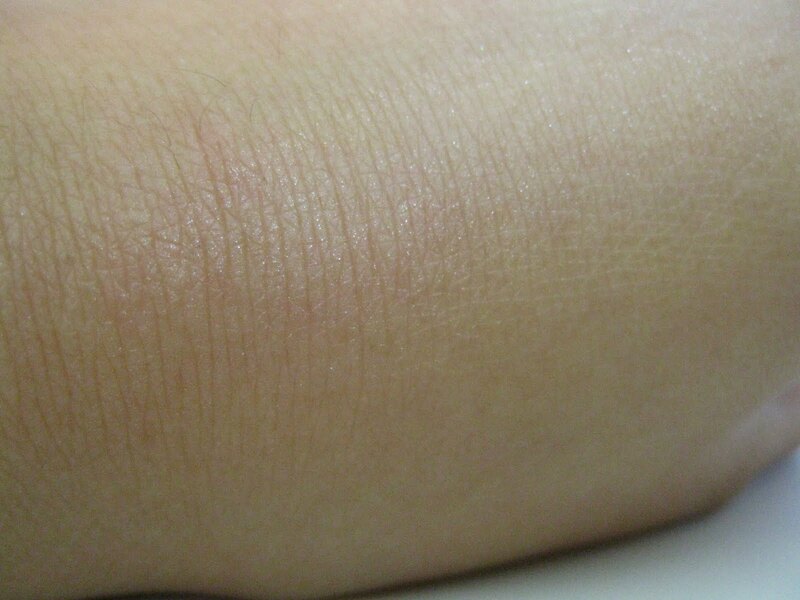 This is very pretty both wet or dry and is a warm beige with loads of fine gold shimmer. I like applying this over NARS Alhambra. 6. 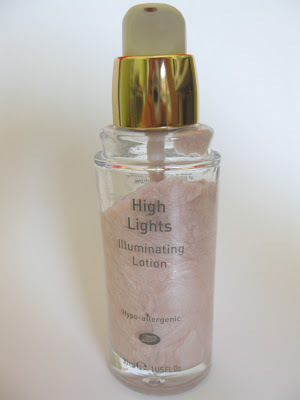 Boots High Lights Illuminating Lotion- I bought this at Target a really long time ago (explains the missing cap) and have recently started using it again. I mix this in with my lotion and apply it to my entire face. Used lightly, this gives a nice dewy effect and makes you glow! You can also use it for a single area like above the cheekbones. Don't over do it or you'll end up looking like a vampire from Twilight. P.S. Mine is the older version. The new one has a black cap and the bottle just looks sort of different. Moving onto my Sunday Haul! Yesterday I went to Walmart to "just look around." We all know what happens after that.. I was really happy to find the NYC Blushable Crème Sticks as I haven't been able to find them anywhere. I was also super excited to find the Fruit Sensations Strawberry Banana Gum. I've searched everywhere for it and finally found it in another city! I also picked up some Motrin. I've been really irritated because I like to buy the big bottle of of 250 or 300 (I forget) since it's a better value. They don't have it anywhere -not Target, Walmart, CVS, Walgreens, Safeway, and everywhere else I've searched (many bottles were recalled.) I guess I was lucky to even find the 100 ct.
Later in the evening, my boyfriend's mom came home and showed me loads of new jewelry and accessories she bought in the City that day. 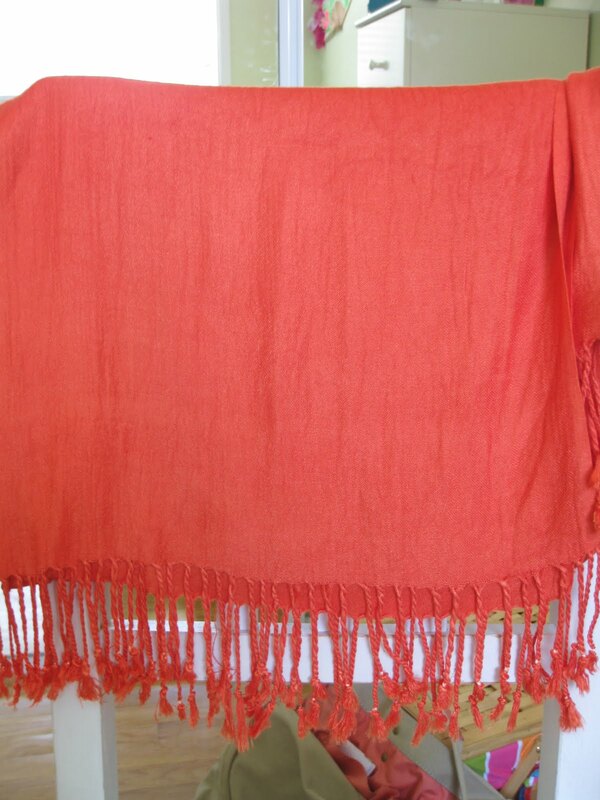 She gave me 1 of the 6 pashminas she bought -I chose the orange. The material feels super luxurious and I love the bright splash of color. I absolutely love it and can't wait to wear it will some plain white tops. agree with you about the blush brush, it's not fluffy enough to be used for blush, at least I think so. I adore Pashminas. They're so soft and handy on cold days. Kali...I bought 2 Jack Black lip balm to test out and it's so painful on my lips :( It's very moisturizing on the lips but once it dries, my lips are cracking and peeling like crazy! Boo I wanted to like these. OMGosh Kristie! I'm honestly so surprised. I'm so sorry it didn't work out for you. 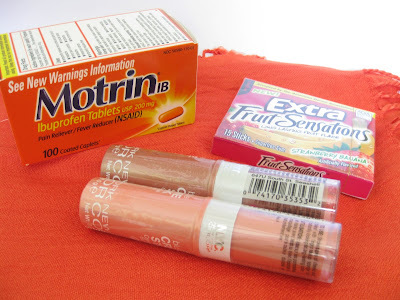 =( What I'm thinking is that it could be the SPF in them -another reader mentioned that SPF lip products are really painful for her. Or, the formula just doesn't agree with your lips -that's how I am with certain products. Definitely return them if you can! I really hope you have/can find a balm to repair your lips from the damage. Ah I was so close to buying that polish after seeing it on frmheadtotoe. So jealous it was on clearance by you...the CVS had them for $4.99 and I had to pass! Be sure to check for sales. CVS us having a Buy 1 Get 1 50% off this week on all Revlon this week. =) Hope you can find it for a low price! I love that blush brush, but I use it for blush because large brushes have an awful tendency to get blush everywhere but my cheeks. I'll try to get them up soon! ooh cool stuff, I like ELF brushes too! 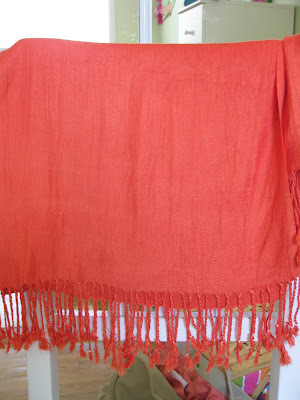 The color of the pashmina is really nice btw!! The nars palette looks so gorgeous! And I totally agree about ELF brushes. I own some and I'm loving it! @ alvira.. That's so awesome! What colors do you own? I'll try to get the NARS reviews up soon -I have so many to review since I kept forgetting about them. @ Tiptoe21.. 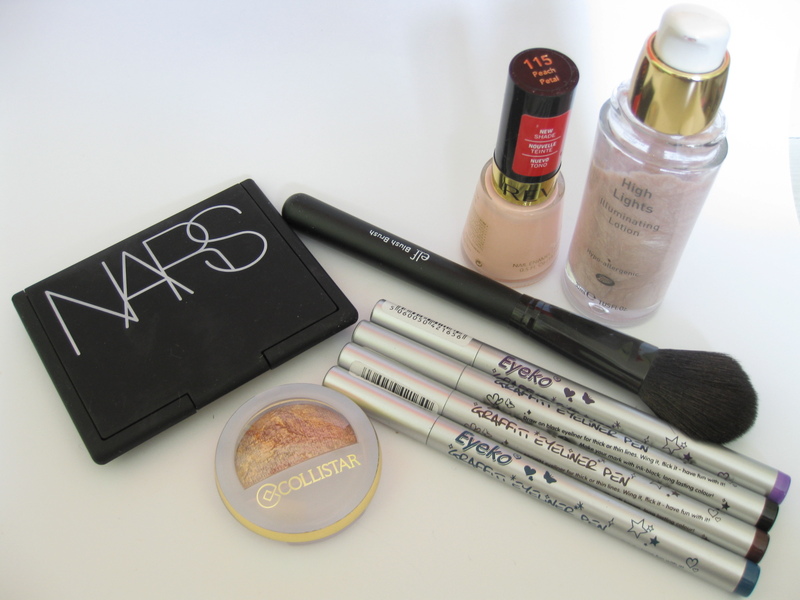 I <3 that NARS palette. Yea, I really think ELF brushes are good especially for the price.